A 1970 graduate of North Carolina State University with a degree in Economics and Business, Hooper initially thought about continuing on to law school. Concerns about the Vietnam War draft changed his mind. Hooper assumed if he were drafted, he would be eligible for Officer Candidate School and pursue training to become a fighter pilot. So that summer, in 1970, taking a little time to think about what he really wanted to do, he accepted a mate’s job on the Early Bird with Captain Emory Dillon. As it turned out, Hooper was never drafted. Rather he continued working on boats rising quickly up the ranks to captain. “Then, realizing I was getting nowhere running a boat for someone else, I went to boat builder Ricky Scarborough in Wanchese, North Carolina and helped him build my own boat. I started off with a 23-foot commercial boat. That year was 1976. 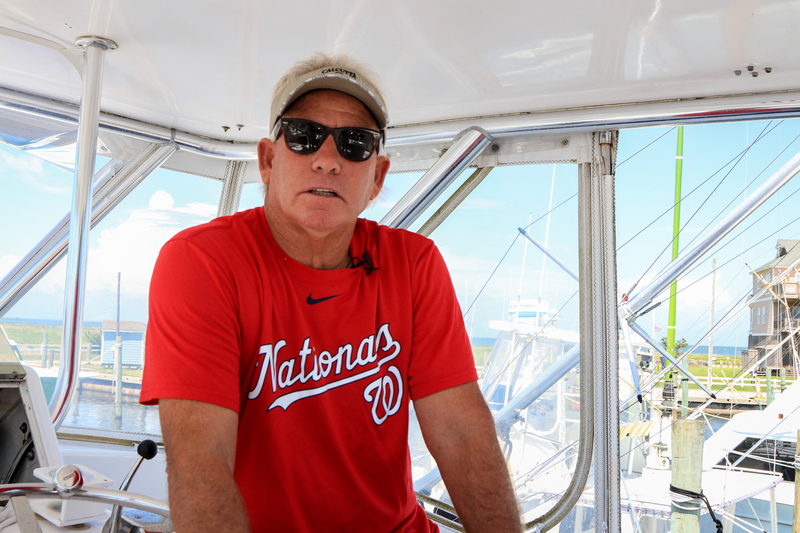 My plan was to use the boat for commercial crabbing and then run a private boat during the summer season for even better pay,” says Hooper. As luck would have it, crabs were in abundance and prices high. In just a couple of years, Captain Hooper put enough money in his pocket to pay off the 23-footer. Debt-free, he immediately started building a 28-footer. Again, the idea was to commercial fish and then work on a private boat when someone needed help. Captain Hooper was on a roll. Making good money building boats, fishing commercially and on private jobs. On top of that, Hooper was selling the boats he built for a good profit – sometimes tripling and quadrupling his money. Each successive build was a little bigger – from the 28-footer to a 29-footer to a 32-footer with a triple-nickel Cummins engine. Then, in the late 80s, the 44-foot Hatteras Fever was built, again with Ricky Scarborough. 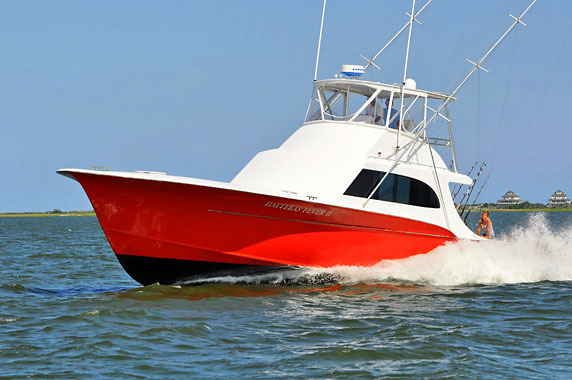 Hooper continued to use his boats commercially in the off season and charter out of Hatteras in season. In 1990 a recession hit the country hard. The North Carolina boat building industry came to halt. Most clients canceled or postponed orders. Ricky Scarborough (Scarborough Boatworks) needed to build a boat in order to keep his crew employed. Captain Hooper and Scarborough’s crew once again started building. Hooper’s original plans were set on a new 51-footer, which at the time was a big boat. Just before construction began Hooper consulted with pioneer boat builder and charter captain Omie Tillet. 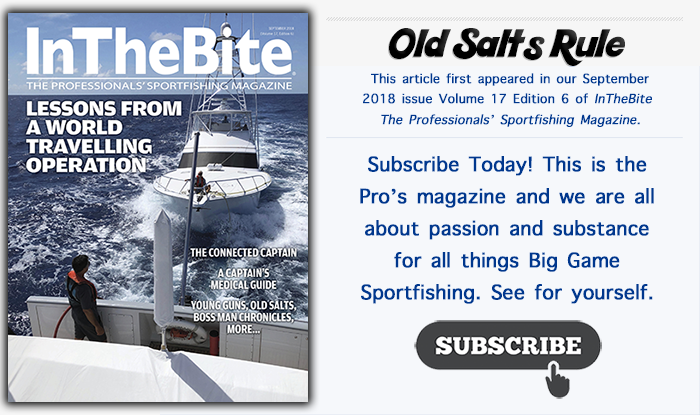 Tillet offered Hooper only one piece of advice, “When you think you got enough boat – add 3-feet.” Finished in the spring of 1991, the 54-foot Hatteras Fever II was born. 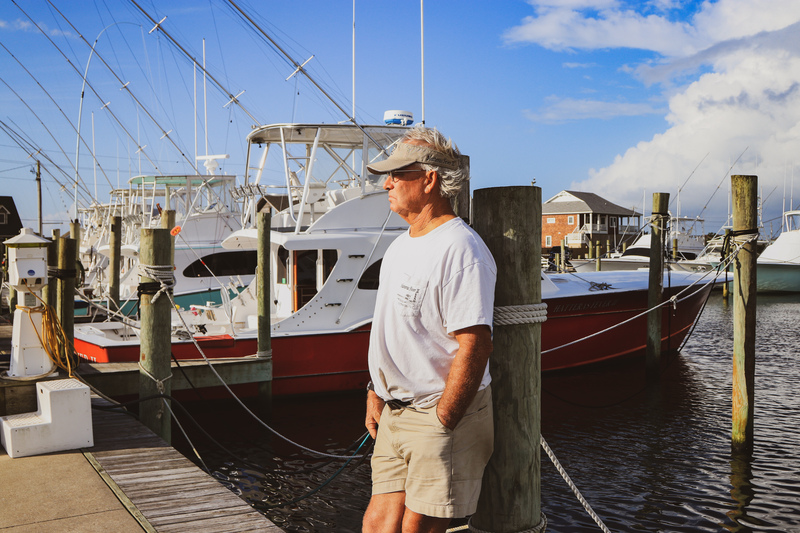 Twenty-seven years later, Captain Hooper and the Hatteras Fever II are still chartering. 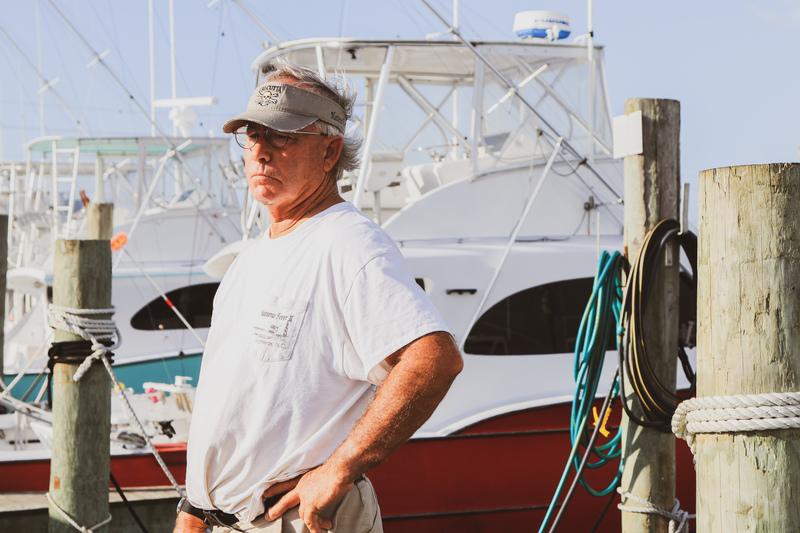 “Seven boats and 42 years later, I’m still chartering and to think it all started with a 23-foot crab boat,” says Hooper. Hooper and the current Hatteras Fever II. Photo courtesy of Rachel Chesnes. A young Captain Buddy with a nice blue marlin and some well-deserved cold beer. When asked about playing jokes and poking fun with his colleagues, Hooper is swift to say he’s not a jokester and may at times be too serious of a person. Over the course of 62 years of fishing, however, even the most serious of captains can’t help but encounter some dock humor. Hooper’s favorite episode occurred in the late 80s while charter fishing off Hatteras. While running offshore, Hooper found a huge blow-up shark raft floating by. “We had a captain named Berle Wilson who specialized in catching sharks. We picked up the shark balloon and radioed Captain Berle to let him know we had big Great White behind the boat. Seconds later you could see him steaming our way. Once he got close the crew held up the big plastic shark. As you can imagine the laughs rang out,” Hooper recalls. When asked about the most remarkable aspect of his career, Hooper answers without hesitation. “I’m proudest of the boys who have worked with me. 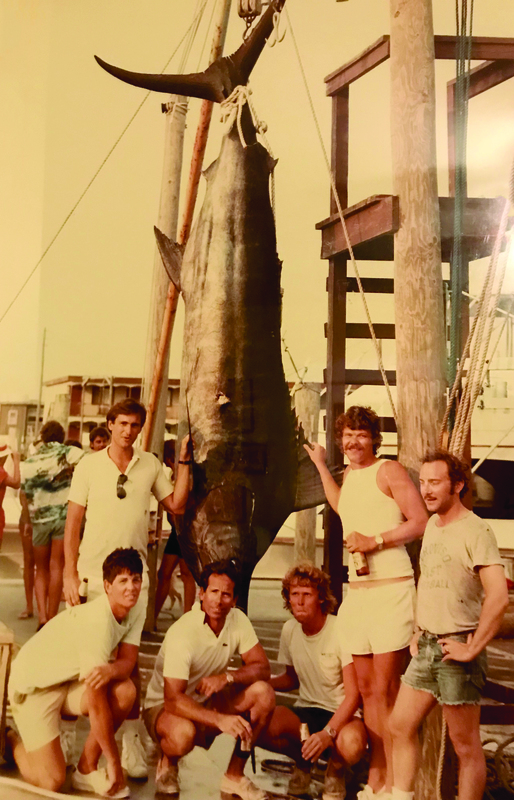 It’s not the biggest fish or how many blue marlin we’ve caught, what is significant is what you do for other people.” Just who has Captain Buddy Hooper worked with? When John Bayliss was in his early teens, he lived with Captain Hooper for two years while working as a charter mate. Captain Bull Tolson also gained some of his formative fishing experience in Hooper’s cockpit. During the off-season, Captain Hooper can be found tucked deep in a duck blind. Duck hunting is passion and tradition he and his family have been enjoying since he was a kid. So, if you ever end up fishing Hatteras, North Carolina, look up Captain Hooper and the Hatteras Fever II. Not only will you get a great fishing experience, but you’ll be fishing with someone who has seen and done most everything there is to do in fishing.